Steaming HOT coming strait out from the workshop !!!! Here are a couple cockpit indicators from a Sud Aviation SE210 Caravelle mounted on stand. 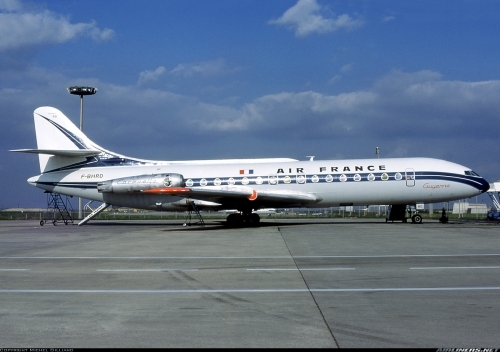 The Sud Aviation SE 210 Caravelle was the world's first short/medium-range jet airliner, produced by the French Sud Aviation firm. Its maiden flight occurred in 1955 when the company was known as SNCASE. The Caravelle was one of the most successful European first-generation jetliners, selling throughout Europe and even penetrating the United States market, with an order for 20 from United Airlines. The Caravelle established the aft-mounted engine, clean-wing design that has since been used on a wide variety of aircraft. 279 units were delivered from1958 to 1973. Air FRANCE on its own ordered 47 units.